It's late at night for me and I ought not reply but I'm gonna!! it bothers me that some chowder head will decide that, warning notwithstanding, will try to use your data in a toggle link rifle and violently disassemble it. Oh well, can't fix stupid...but ignorance can be educated...hence my posts. The 45-70 and 45 Colt loads can also be loaded hot for strong firearms. The 44-40 is not the only cartridge that can be loaded hot that shouldn't be fired in certain firearms. Stupid people will be stupid and I refuse to live life at a lesser standard to enable them to continue to be stupid...or refuse to learn! I am somewhat surprised that an old war horse like the .44-40 can be driven even in a proper strong action to those pressures and velocities. I guess you are surprised because you didn't know...see above reply. Do you have any loosening of primer pockets? I have not had the first problems whatsoever with any components. I have reloaded my brass so many times I lost count and have had only ONE split case and I honestly feel that was because it was damaged while being loaded, not because of the abuse. Thanks for your hard work doing this research and keep it coming. Thank you.....it has been a very long and tiring road over the past ten years.....and it got expensive too...for me. I just don't want folks to get upset because I used the word ignorance. We all are, I know I still am and always will be. It can be a harsh word but it shouldn't be. I am less ignorant about the 44-40 today than I was even a year ago but I stay ignorant about many other things. Ignorance is a lack of knowledge. The word ignorant is an adjective that describes a person in the state of being unaware, and can describe individuals who deliberately ignore or disregard important information or facts, or individuals who are unaware of important information or facts. People may shy away from the unknown...and then it will always remain to be the unknown. Then there are the stupid red neck ones that say...hold my bear and watch this!!!! What I have done has always been....ever since 1903! I have only loaded 5 test groups that probably have exceeded 22,000cup 1903-1938 Winchester factory loads as well as Lyman's 49th page 300, Red Dot loads of 21,900cup. 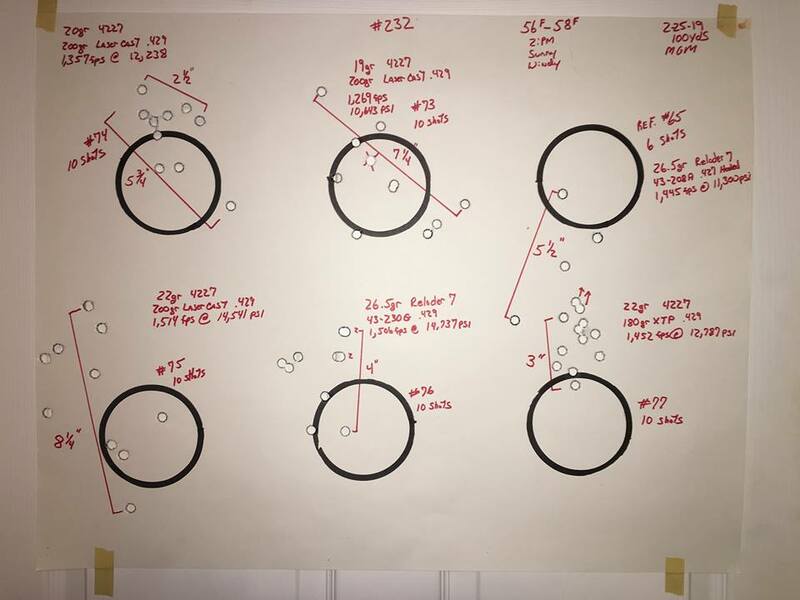 Lyman lists TEN weak action rifles for their Group I loads and an additional NINE strong action rifles for their high pressure loads. How many people out there are even aware that there are at least Nineteen rifles that were chambered for the 44-40 cartridge? Owning a Marlin 1894 chambered for the 44-40 and not using it to it's fullest capabilities is like owning a Lamborghini Veneno and never going faster than 55mph. The car and rifle are capable, but is the driver and shooter? The contents in the photo is intended for conversational purposes. Open image in new window for full view. This morning was the morning I have been looking forward to for a long time! 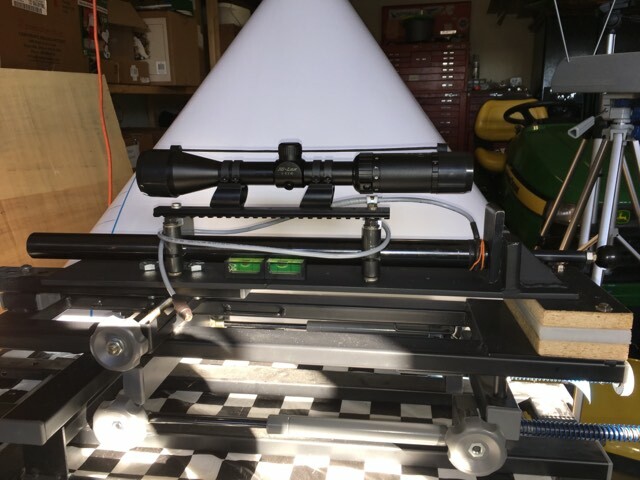 After all this load testing I finally got the scope back on the CB and opened her up on that illusive GOLF BALL at 265 yards. The Below is some detailed handloading information for this Group II rifle. Reloder 7 for 1,300fps @ 11.000psi for the Winchester 73'/Marlin 1889 and IMR-4227 for 1,650fps @ 19,000psi for the Marlin 1894CB. The Marlin 1889 falls under Lyman's Group II rifles but I like to take it easy with it. It is a solid and strong rifle in design and age. My friend Wes was there so it made it even more fun! This morning was the morning I have been looking forward to for a long time! After all this load testing I finally got out the ole girl and opened her up on that illusive paper target at 265 yards with open sights. The sights, with my eyes, are even more blurry in the photo when I try to aim. Below is some detailed handloading information for this Group II rifle. Marlin 1889 44-40 (button mag) manufactured in 1891. Starline Brass not trimmed 1.295"
I do not want to start a fight with you but it bothers me that some chowder head will decide that, warning notwithstanding, will try to use your data in a toggle link rifle and violently disassemble it. Powders used for rifle were 2400, Unique, Sharpshooter, Lightning, 1204, SR80 and 4227. The 4227[IMR] shows 29gr @ 1,890fps but no pressures. The manual does not specify what specific weapons to, or not to use such loads but folks back then were not as stupid...or ignorant as folks can be now days. Back then Winchester ammo boxes were color coded and had WARNING labels on the hot loaded 44-40s to NOT BE USED IN THE WINCHESTER 73' and PISTOLS. However, what is explained in the text of the manual is that such 33,000psi loads should never be exceeded in rifles and whereas such 30,000psi loads in revolvers would be disastrous. To further give an example of the older manual (powders and loads may change but pressures are pressures) Rifles 33,000max, revolvers 15,000max. The best way to be educated is to learn the history......history forgotten is history surly to repeat itself. Rather than tell someone what not to do, they need to be told why.....and it needs to be explained truthfully. I was told once a long long time ago....practice does not make perfect....only perfect practice makes perfect!